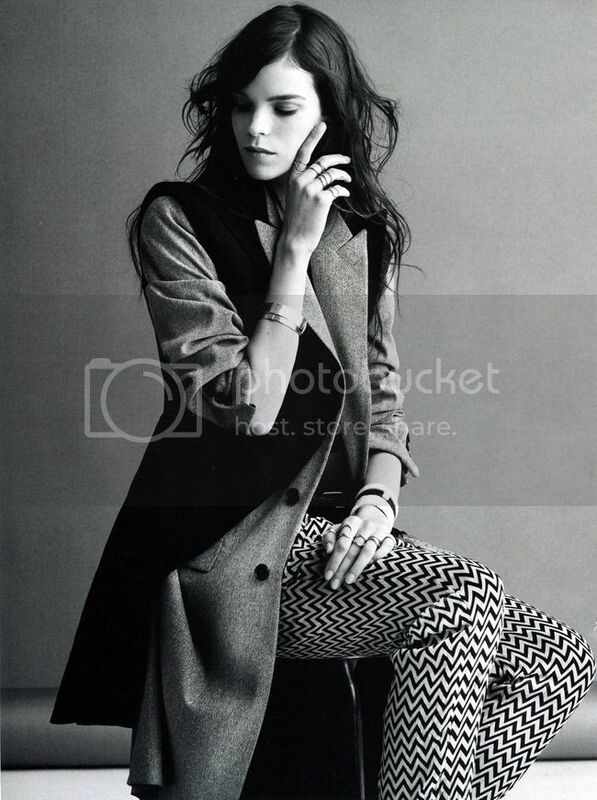 I love this editorial featuring Meghan Collison in Vogue Russia titled Manhattan Express that was shot by Paul Wetherell. 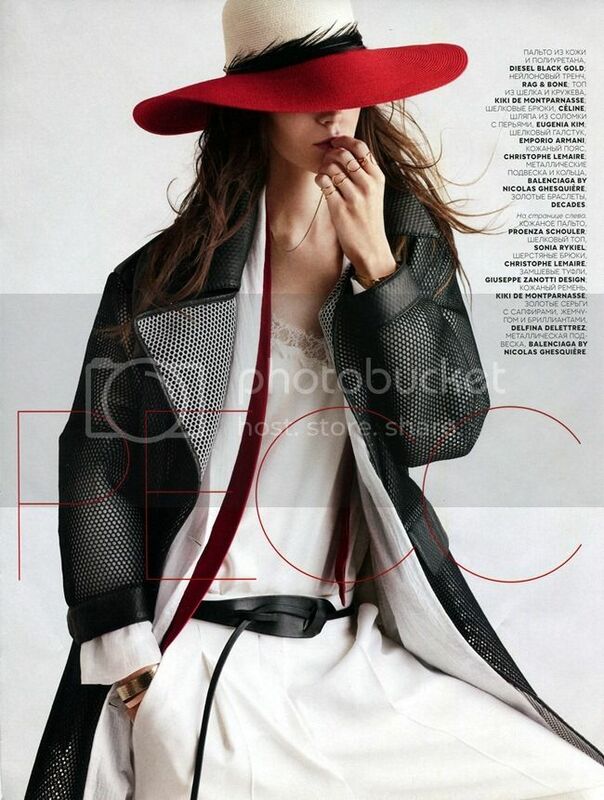 The red accents, the menswear inspired outfits, a dash of pleats and lace for femininity and those floppy hats! Sadly I can’t carry off these floppy hats thanks to my teeny-tiny head but I most certainly admire them on others. This entry was posted in Fashion and tagged editorial, lace, Meghan Collison, menswear, model, Paul Wetherell, pleats, red, Vogue Russia on January 8, 2013 by fauxionista. This Material Girls editorial featuring Karlie Kloss and Edie Campbell shot by Craig McDean for Vogue Magazine is such a fun throwback to the 60s fashion trends. The structured silhouette, the geometric prints, and what I adore most is the use of different textures and mix of prints in styling the outfits. A fun way to experiment with fashion, that’s for sure! This entry was posted in Fashion and tagged Craig McDean, Edie Campbell, editorial, Karlie Kloss, Material Girls, model, Vogue on December 29, 2012 by fauxionista. Hanneli Mustarparta, a Norwegian former model turned photographer/fashion blogger/writer is once again immortalized by ZARA. She was immortalized in a series of t-shirts last year by ZARA and it is a repeated feat this year! Her style almost reminds me of Alexa Chung and here are two of her outfits that I adore. And here’s an interview that Telegraph had with her, should you be interested to read more about Hanneli. Enjoy! This entry was posted in Fashion and tagged Alexa Chung, Hanneli Mustaparta, Jak & Jil, model, Tommy Ton, Valentino, ZARA on September 4, 2012 by fauxionista.